Wish You Well - Audiobook | Listen Instantly! 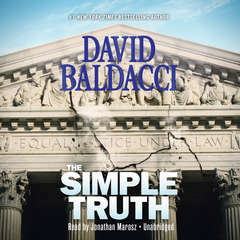 David Baldacci's million-copy-plus bestseller is now a feature film available on DVD and video on demand! “Readers will keep turning the pages of this delightful tale.
" 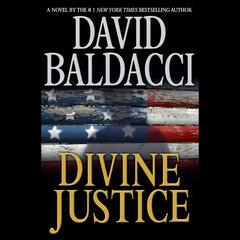 I have never read any of David Baldacci's books but it is my understanding that this novel is a departure from his usual writing. 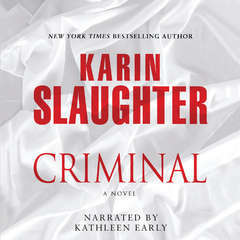 I have to say I would not have chosen this book on my own, I read it with a book club I am in. 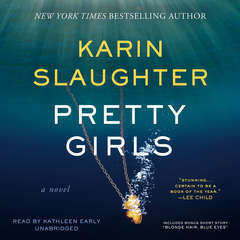 I did thoroughly enjoy this book. It is a beautiful story about two children who lose their father and move from New York city to the rural mountains of Virgina. They struggle to come to terms with the difficulty of losing a parent and the everyday difficulties of living a life that relies on the land. The book was certainly worth reading and the characters will stay with you for a long time. " " This one's a tear jerker and very good. " " I really enjoyed this book. Very different from his other titles. " " Super cheesy. Predictable plot. The ending made me gag. Maybe this was written for a YA crowd. " " Wonderful read! 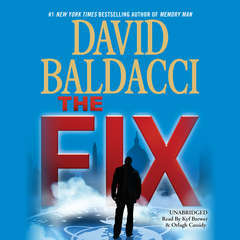 Not your typical David Baldacci book. Very touching story. Highly recommended. " 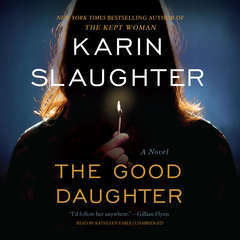 " I enjoyed the concrete details of a girl uprooted from NYC to a hard-working life on a farm in Virgina. I enjoyed reading about the connection that exists between the generations and how who our ancestors are deeply affect who we are. It had a great resolution at the end. " " A gripping, heartfelt novel. Lovely to read it again after several years. " 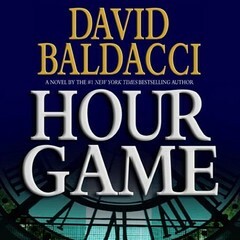 " I didn't think I had read any Baldacci until a friend reminded me of this book today. My memory tells me that I liked it...lots. I remember it as heartwarming and engaging. " " The story of two young children and how their lives and views change and mold them into the adults they become at an important part in their lives. A few too many unbelievable things. 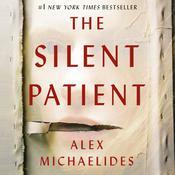 p.2 "Characters seemed more real than one's family" p. 260 why do things happen "
" I loved this book. Both my parents have died but shared with me very similar stories about their childhood. My Dad grew up in SW Virginia (raised by his grandmother) and my Mom on a farm in SC. Reading the novel was like enjoying a big plate of comfort food. " " Great book. Well written. Easy to read. " " I really liked this book a lot - reminded me a bit of "To Kill a Mockingbird". 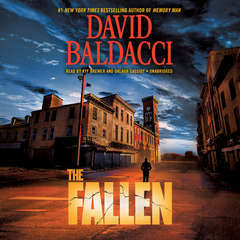 I've never read any of Baldacci's other books, which are apparently a completely different genre, but this was well-written and an enjoyable read. " " I really enjoyed this coming of age story. It ALMOST made me want to move to a farm so that my kids could learn to work. I couldn't help but love Lou and her brother, Oz. I belive I learned a few lessons on life right along with them. " 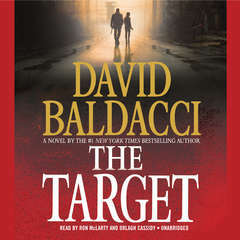 " Had mixed feelings about this book, I don't know Baldacci to write such a normal home-style book but an author should explore all the avenues. Wonder what other people thought? " " I liked the story for the most part, but I think the premise of the mom going inot mental trauma because her child gave her a threatening look is a little far-fetched. I do think I'll read more by this author though. " 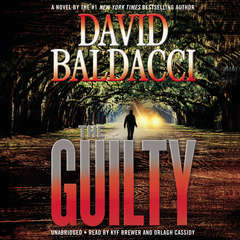 " After having read and really enjoyed many of Baldacci's legal thrillers, I downloaded this on a whim and thought if it doesn't grab me I'll move on to another book. This was a lovely, old-fashioned story with a To Kill a Mockingbird feel to it. I highly recommend it. " " Like it ..new twist of how our folks can live a different life than what we did. " " Two worlds collide when a young girl from the city goes to live with her grandmother in the hills. She meets new people and eventually accepts others and learns about her family. " " This book is both sad and happy. 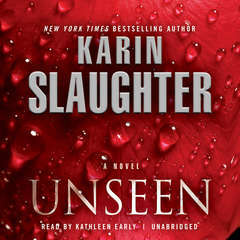 I CAN'T WAIT FOR THE MOVIE ON JANUARY 25 2013!!!!! MACKENZIE FOY WILL BE PLAYING LOU!!!! (SHE'S RENESMEE IN BREAKING DAWN PART 2:):):) "
" This was different than the rest of his books. Touching. " " Not his usual style of book. Amazing story. I reread this book every couple of year's. So good! " " Very well done. Encourages you to start your family tree, to learn from the past. " 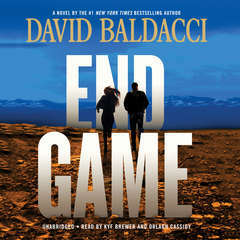 " Really enjoyed this book bit would have appreciated a better ending...or, perhaps a sequel. Seems this book could have been made into a series. " " I loved it, but it was soooooo sad;( "
" I really liked this book. I liked the characters and I liked how it described the Mountains. " 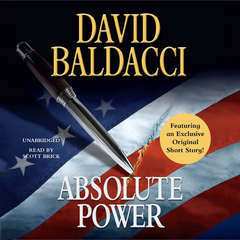 " Has a somewhat predictable flow, and a few over reaching elements. But a well told story. Characters are lacking in someways. Yet it is hard not to like the story and feel the run of tragedy and triumphs. " 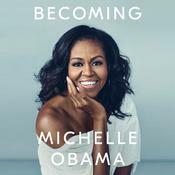 " Book on CD. 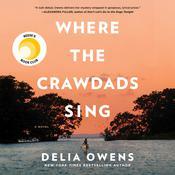 3 1/2 stars nice tale about appalachia. " " I loved this book! A change from his usual writing. Delightful story of how we can learn the most important lessons in life from the simplest experiences. " 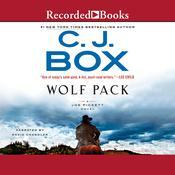 " Great sweet read about life in Virginia mountains. Very enjoyable. " 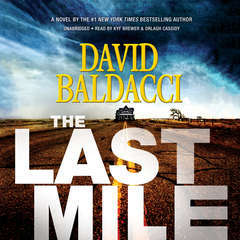 " It was a good story about growing up in rural environments. Had all the elements of a great story: great characters, struggles against overpowering odds, and flow! " " Awesome, wonderful, surprising. I loved this book, and this was entirely unexpected. Highly recommended. " " A departure from his usual lawyer story. This book was a good read. " " I loved this book. 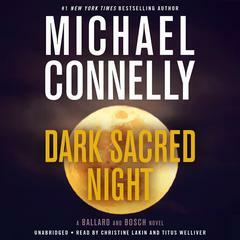 The author didn't thrill me on other titles, but this one is clean and a wonderful story. " 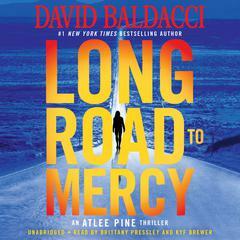 " This was a departure from Baldacci thriller style, but a very enjoyable, poignant read. " " This is a sweet story about family, faith and love. Lou is another smart young female lead who comes of age in this book. I love stories like that. " " This is a really nice, good pleasant read that will make you smile. :) "
" One of my all time favorite books. 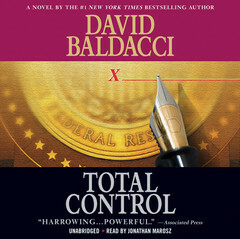 I think this is a book that should be on the reading list at high schools. 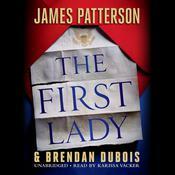 The story gripped me from the start and kept me interested throughout the whole book. " " A very touching story. Captivating. Kept me wanting more. 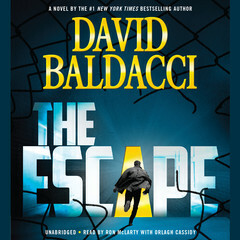 I wish Mr. Baldacci would write more books like this. " " I really liked this book. It had a great story line and an excellent ending. 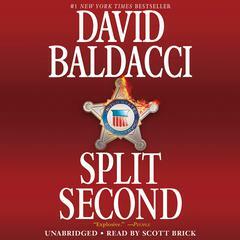 Baldacci continues to show how well he can tell a story. " 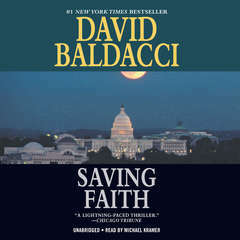 " This was quite the departure from what Baldacci is more recently known for, but still a delightful tale of family and faith. 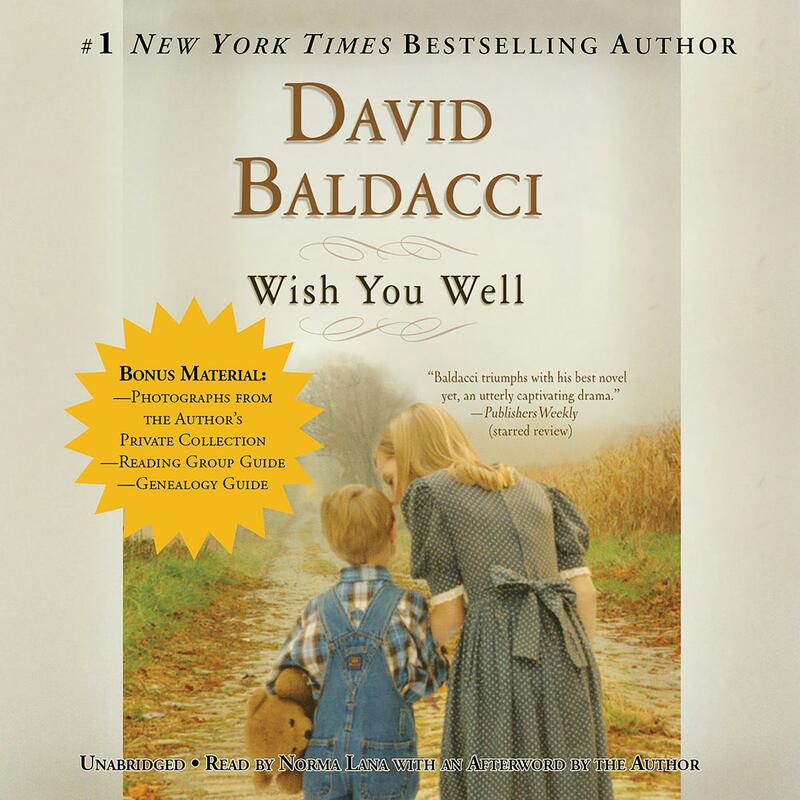 However, I would say that he has honed the craft in the last eleven years since Wish You Well was published. " Norma Lana is the founding member of and writer for Girlz on Top, an all-female comedy group. She has starred in numerous theater productions, including The Diviners, Bad Behavior, and Cyrano de Bergerac. Norma has had many roles on film and television, including Arrest & Trial, The Ruth Truth, and Backstreet Dreams. Her voice can also be heard as a computer virus on Hackers.